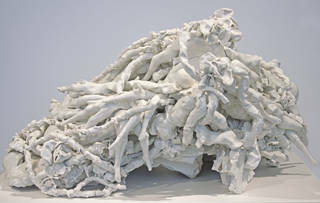 Rachel Kneebone is a contemporary British artist whose complex porcelain sculptures comprise organic forms in a system of interaction that unravel the human experience. This presents one of her recent works, the monumental '399 Days', alongside masterpieces of the V&A's Medieval and Renaissance collection, highlighting the ongoing representation of mourning, ecstasy and vitality in figurative sculpture. Rachel Kneebone creates porcelain sculptures that strive to represent the human body in all its complexity. She is concerned with what it means to inhabit a body, its physical limitations and cognitive possibilities. Inspired by themes of transformation and renewal, Kneebone's complex sculptures are born of intense emotions. She expresses movement and fluidity in a medium usually associated with stillness and calm. Visibly exploiting the material properties of porcelain, Kneebone deliberately allows her work to rupture and crack, prompting the viewer to contemplate the relationship between strength and vulnerability. 399 Days, the largest and most ambitious sculpture Kneebone has ever produced, is now on display in the Medieval and Renaissance Galleries (Room 50a). Combining minute detail with towering scale, this five-metre-high porcelain tower features intricately modelled and detailed figurative scenarios. 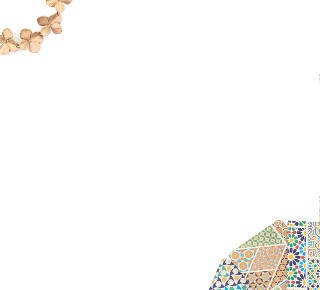 From every angle, vines, tendrils and body parts merge and multiply, evoking a state of flux and struggle. 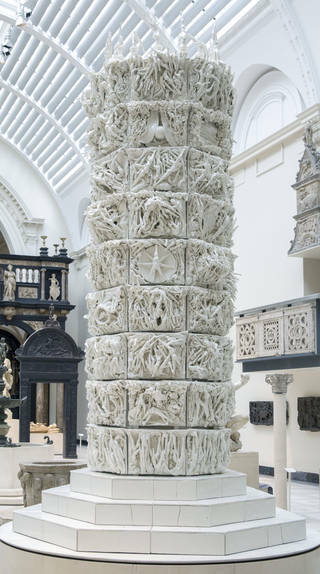 The individual tiles combine to form one grand architectural sculpture – referencing the V&A's cast of Trajan's column which is displayed in a nearby gallery. The large vertical opening between the tiles enables glimpses into the sculpture's interior, challenging our understanding of what we expect from a monument as solid and impenetrable. Surrounded by 16th-century sculptures from the V&A's collections, 399 Days echoes and challenges classical forms and Renaissance ideas of knowledge and power. Three more of Kneebone's porcelain sculptures were presented in the Hintze Sculpture Galleries (Gallery 21), among bronzes by Auguste Rodin. Placed alongside these sculptures on the centenary of Rodin's death, this installation highlighted the artists' shared interest in capturing emotive states – hope, longing, loss and suffering – while also offering a comparison between their choice of materials and techniques. Although Kneebone works in porcelain – a material which may seem opposed to Rodin's use of bronze and marble – the two artists are concerned with expressing materiality and sensuality in their work, and both emphasise the process of its creation.